Your eyes are not video cameras. Your ears are not microphones. Constant filtering and attribution of importance and meaning goes on without your conscious awareness that determines even what data you use in making investing decisions, much less what you decide to to do with it. Warnings that emotions send often lead to making bad investing decisions are largely correct. That does not mean (as some say), however, that emotions have no place in investing and trading. In fact there is evidence that people with no emotional component to decision making actually do worse that those who've learned to manage it well. It's not uncommon to hear people say "All I need to know is what to buy, when to buy it, and when to sell it. Leave out all the psychobabble and get right down to what to DO." Actually, quite a bit is known about how people make decisions involving money that does tell you what to DO. What you need to DO is get smart about how your mind and body react to the kinds of potentially dangerous, uncertain situations that you must operate in to invest and trade profitably. emotions are a given, fear and greed being most common. emotions can adversely affect your thinking, your decisions, your actions, whether positive or negative. limitations in perception and mental processing are significant, especially in the face of the amount of information available. 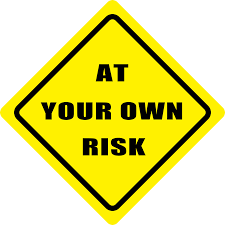 your brain reacts to what it perceives as danger before you're even aware of it consciously. 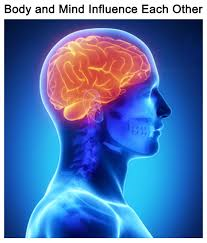 Neuro-cognitive biases get a lot of attention for good reason. The attention investing psychology has spent on these biases, (tendencies to see things in distorted, dangerous ways,) makes a lot of sense. Our nervous systems can come to erroneous conclusions that seem so right. For example, take a look at the image below. It's called the Ebbinghaus illusion. 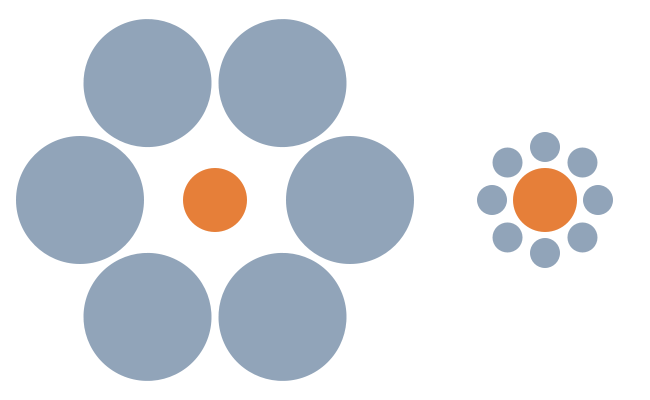 Most people see the orange circle on the right as being bigger than the one on the left. It's not. Even when I put a ruler up against the computer screen and the edges of the circle come out to exactly the same points, I find it almost impossible to believe. Fortunately, many of the inherent human limitations and distortions in making sense of financial and investing information are well known by investing psychology and good work-arounds exist. when making decisions involving money it is a good idea to go down a checklist of the most common neural/mental/emotional errors and assess how much each one might be affecting what you are about to do. using the same checklist, make some educated guesses about what other participants in the situation are likely to be doing and make your plan accordingly.. Some of the most common effects described by investing psychology include big names that psychologists like for precise definition reasons. By clicking on the links below, you can read plain language descriptions of them. 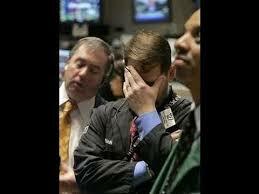 You'll hear over and over that fear and greed are what drive the markets. Like most such sayings, there is a lot of truth in that. It doesn't tell the whole story though, and it doesn't tell you what to do about your own natural experiences of fear and greed that you will probably feel at one time or another. Arguably, not dealing effectively with these two states is at the core of why so many people consistently buy at the tops and sell at the bottoms. Have you ever stopped to wonder seriously about who is on the other side of those transactions? Who's buying at the bottoms and selling at the tops? How do they do it when most people are doing the opposite? Don't ever underestimate just how challenging it is to succeed in investing and trading. If you start to get the idea that because you have been successful in other parts of your life and therefore sure can succeed at this to by applying the same skills and habits . . . watch out! Very smart people who want to make a lot of money are naturally drawn to the various markets: stocks, bonds, options, futures, currencies. There's money there, lots of it. The stakes are high. And they are there to get it. That is their job and their purpose. To quote another old saying from the world of finance, . . . “We’re not an eleemosynary institution!” For a definition and an interesting discussion of that, CLICK HERE. It was a banker talking in this case, but you get the idea. The professionals in investing and trading operate on the level of the professionals in athletics, the sciences, entrepreneurship. Think you can outsmart the pros at their own game? You might as well challenge Michael Jordan to a free throw shooting contest, but you can do very well when you stick to a discipline. The good news is that there are lots of effective ways to invest your retirement money that work quite well that aren't going head-to-head with the pros. There are indeed many ways to succeed. Not matter which route you choose, after you've found a solid system with a good track record, that you understand, and that you feel good about, it's about you. Through investing psychology studies we have learned that there are some common attributes of people who are successful investors. If there is any "secret" or "secrets" in all this, it is not which indicator or oscillator to use of which stock to pick, but rather how to get yourself to consistently do the things that investing psychology has shown to work and avoid the ones that don't.